Catherine L. Mah MD FRCPC PhD is Associate Professor in the Faculty of Health at Dalhousie University. She directs the Food Policy Lab, a multidisciplinary program of research in the policy and practice of public health, with a focus on health-promoting innovations in the food system. Her work integrates population health intervention research, policy science, and community action on environmental contexts for consumption. She has led food and nutrition issue analyses in four provinces and internationally, with collaborators in Canada, Japan, and Australia. In addition, she regularly contributes expertise to portfolios in cancer prevention, immunization, municipal governance, food security, and regulatory aspects of the food supply. 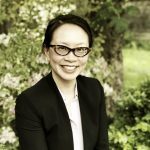 Dr. Mah previously held fellowships at the School of Public Policy and Governance at the University of Toronto, Kyoto University, Toronto Public Health, and the Centre for Addiction and Mental Health. She continues to hold an appointment at the Dalla Lana School of Public Health at the University of Toronto. Her current research focuses on strengthening data and policy options to negotiate dual aims in community nutrition and economic development, funded by the Canadian Institutes of Health Research and the Social Sciences and Humanities Research Council, in collaboration with Health Canada and FLEdGE, a global research partnership on food and sustainability led by Wilfrid Laurier University. Over the last six years, she has provided principal supervision for students pursuing research in health professional and graduate degree programs in medicine, public health, community nutrition, public policy, and environmental studies. Dr. Mah promotes trainee opportunities for community-engaged scholarship and has mentored current and former students in citizen leadership and population health initiatives in several jurisdictions across Canada. Effective July 1, 2017, my primary appointment is as Associate Professor in the Faculty of Health at Dalhousie University. Aim: To implement a capacity building toolkit in smaller municipalities in four provinces (AB, MB, ON, NL) to measure the community and consumer food environment and develop an evidence-informed, policy-ready local plan for a healthy retail food environment intervention. Aim: 1) An assessment of the community and consumer food environment in NL with a focus on measuring the rural retail food environment; 2) an impact evaluation of a pilot healthy corner store intervention in a rural community measuring community-level and household-level health and retail performance outcomes. Aim: To identify existing and potential policy levers to create healthier and more enabling food environments for the city-region of St. John’s, NL, with a focus on opportunities for healthier food retail and food entrepreneurship. Mah, Catherine L., Rebecca Hasdell, Leia M. Minaker, Stephanie Soo, Brian Cook, and Alessandro R. Demaio. Entrepreneurialism and health-promoting retail food environments in Canadian city-regions. Accepted to Health Promotion International, July 2017, forthcoming (lead author). Mah, Catherine L., Leia M. Minaker, Kristie Jameson, Lissie Rappaport, Marketa Graham, Krystal Taylor, Natalie Moody, and Brian Cook. 2017. An introduction to the healthy corner store intervention model in Canada. Accepted to Canadian Journal of Public Health 108(3), forthcoming (lead author). Minaker, Leia M., Meghan Lynch, Brian Cook, and Catherine L. Mah. Exploring food sales data as a store-level metric associated with a healthy corner store intervention in Toronto: The Food Retail Environments Shaping Health (FRESH) project. Accepted to Health Promotion and Chronic Disease Prevention in Canada, June 2017, forthcoming (senior responsible author). Pomeroy, Stephanie J., Leia M. Minaker, and Catherine L. Mah. An exploration of citizen science for population health research in retail food environments. Accepted to Canadian Journal of Public Health, May 2017, forthcoming (senior responsible author). Scourboutakos, Mary, Catherine L. Mah, Sarah Murphy, Frank N. Mazza, Nathanael Barrett, Bill McFadden, and Mary R. L’Abbé. Does a healthy eating intervention in a buffet-style university dining hall change students’ food and beverage choices? Journal of Nutrition Education and Behaviour 49(6): 457-465 (co-author, major role). Patterson, Patrick B., Catherine L. Mah, and Lynn McIntyre. A framing analysis of household food insecurity within the Canadian political arena illustrates the co-construction of an intractable policy problem. Critical Policy Studies, published November 2016 online ahead of print (co-author, major role). Minaker, Leia, Graham MacKenzie, Nghia Nguyen, Dana Lee Olstad, Sunday Azagba, Brian E. Cook, and Catherine L. Mah. 2016 July. An evaluation of the impact of a restrictive retail food environment intervention in a rural community pharmacy setting. BMC Public Health 16(1): 586 (senior responsible author). Minaker, Leia M., Alanna Shuh, Dana L. Olstad, Rachel Engler-Stringer, Jennifer L. Black, and Catherine L. Mah. 2016 June. Retail food environments research in Canada: a scoping review. Canadian Journal of Public Health 107 (Suppl 1): eS4-eS13 (senior responsible author). Mah, Catherine L., Brian Cook, Karen Rideout, and Leia M. Minaker. 2016 June. Policy options for healthier retail food environments in city-regions. Canadian Journal of Public Health 107 (Suppl 1): eS64-S67 (lead author). Patterson, Patrick, Lynn McIntyre, Laura Anderson, and Catherine L. Mah. Political rhetoric from Canada can inform healthy public policy argumentation. Health Promotion International, available online ahead of print March 2016 (senior responsible author). Lo, Brian, Leia Minaker, Jessica Hrgetic, Alicia Chan, and Catherine L. Mah. 2016. Development and reliability testing of a Nutrition Environment Measures Survey for Grab-and-Go food outlets at an urban downtown university campus. Canadian Journal of Dietetic Practice and Research 17(1): 17-24 (senior responsible author). Mah, Catherine L., Catherine Hamill, Krista Rondeau, and Lynn McIntyre. 2014 November. Using framing analysis to understand public health policy conflicts: the example of food insecurity in Canada. Archives of Public Health 72: 41 (lead author). Mah, Catherine L., Emily Taylor, Sylvia Hoang, and Brian Cook. 2014 October. Using vignettes to elicit moral reasoning in public health policy: Practical advice and design principles from a study on food advertising to children. American Journal of Public Health 104(10): 1826-1832 (lead author). Mah, Catherine L., Loren Vanderlinden, Dia Mamatis, Donna Ansara, Jennifer Levy, and Lisa Swimmer. 2013. Ready for policy? Stakeholder attitudes toward menu labelling in Toronto, Canada. Canadian Journal of Public Health 104(3): e229-e234 (lead author). Mah, Catherine L., and Helen Thang. 2013. Cultivating food connections: The Toronto Food Strategy and municipal deliberation on food. International Planning Studies 18(1): 96-110 (lead author). RB Deber with CL Mah (eds). 2014. Case Studies in Canadian Health Policy and Management. Toronto: University of Toronto Press. D Oickle, CL Mah, M Kurrein, L Davidson. Public Health Speaks: Upstream Action on Food Insecurity. Antigonish: National Collaborating Centre for Determinants of Health, 2017. National Collaborating Centre for Environmental Health (NCCEH). Approaches and Tools for Integrating Health Equity into Environmental Health Practice. Prepared by CL Mah and B Cook for NCCEH, 2015. National Collaborating Centre for Environmental Health (NCCEH). Policy Options for Healthier Food Environments in City-Regions: A Discussion Paper. Prepared by CL Mah, L Minaker, B Cook for NCCEH, 2015. Ontario Society for Nutrition Professionals in Public Health (OSNPPH). Position Statement and Paper on Menu Labelling. Prepared by CL Mah, 2013. Toronto Public Health. 2013. What’s on the Menu? Making Key Nutrition Information Readily Available in Restaurants: Technical Report. Prepared by CL Mah, D Mamatis, L Swimmer, L Vanderlinden, A Birks, D Ansara, 2013. Analyzing Policy to Promote Health in Retail Food Environments: Innovation, Entrepreneurialism, and Engagement. Invited seminar for University of Sydney Menzies Centre for Health Policy and Charles Perkins Centre Food Governance Node, Sydney, Australia, April 18, 2017 (Invited Lecture, International). Invited panel member, with Julie Brimblecombe, Megan Ferguson, and Emma McMahon. Healthy food retailing interventions in rural and remote community stores: an interactive Canada-Australia panel. Menzies Seminar, Menzies School of Health Research, Casuarina, Northern Territory, Australia, April 12, 2017 (Invited Lecture, International). Invited discussant, with Lynn McIntyre. Insights from abroad. Remarks and discussant for Emergency Food Relief: Peering Ten Years into the Future—An Interactive Forum for Australia’s Charitable Food Workforce, hosted by the Australia Right to Food Coalition in partnership with Curtin University, Monash University, Flinders University, and the University of Canberra, Melbourne, April 7, 2017 (Invited Discussant, International). Invited plenary panel member, with Sylvain Charlebois, Joseph Cheyenne, and Jacqueline Gahagan. Student-led Crossroads Interdisciplinary Health Research Conference, Dalhousie University, Halifax, March 10-11, 2017 (Invited Plenary Panel, National). Food Connects Us All. Invited keynote lecture for Memorial University student-run World Health Organization simulation conference, St. John’s, Canada, March 4, 2017 (Invited Keynote, Local). Invited plenary panel member, with Monique Cashion, Ben Miles, Boyd Swinburn, and Rosemary Stanton. Closing panel debate, The Role of Business in Improving Nutrition and Preventing Disease. Food Governance Conference, University of Sydney Law School. Sydney, Australia, November 3, 2016 (Invited Plenary Panel, International). Food Policy Lab in the field: Participatory tools for population health research and policy development. Government of Newfoundland and Labrador, Policy NL Coffee Break speaker series, St. John’s, September 28, 2016 (Invited Speaker, Provincial). Invited webinar on Healthy Corner Stores NL, Bureau of Nutritional Sciences seminar series, health portfolio, Government of Canada, September 22, 2016 (Invited Webinar Speaker, National). Invited panel speaker, Bell Island Talks: Food and Food Security, community meeting on refugee settlement for Bell Island, NL. Hosted by Leslie Harris Centre of Regional Policy and Development and Government of Newfoundland and Labrador Department of Municipal Affairs, July 23, 2016 (Invited Panel Speaker, Local). Invited panel speaker, Food for Health, Nova Scotia Food Summit, Wolfville, Nova Scotia, May 28, 2016 (Invited Plenary Speaker, Provincial).